The vast degraded mining and metallurgical complex of the São Domingos mine is located near the village of the same name, originally built as housing stock for the mine, which brings into sharp focus the intimate nature of the centuries-old relationship established. 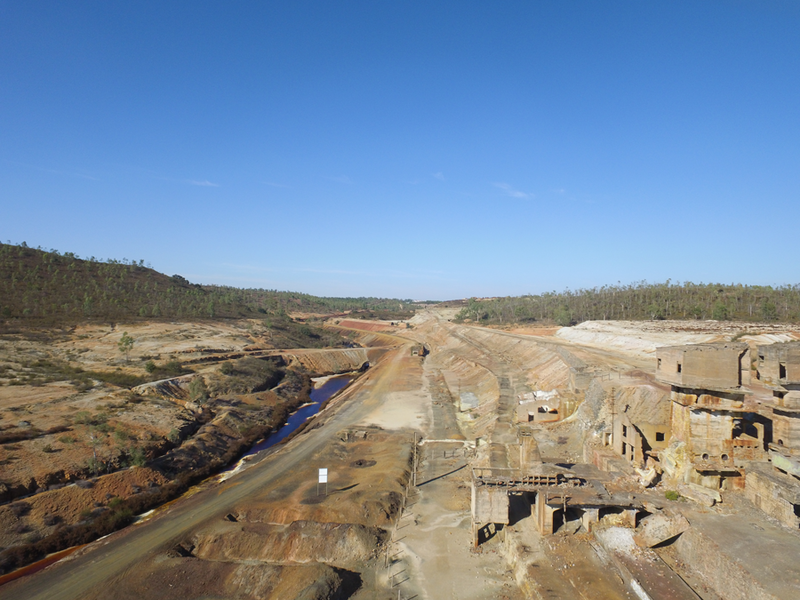 All parties feel the need for environmental intervention with respect to the characteristic mining landscape and the protection of the significant industrial and archaeological heritage. The first mining operations started in pre-Roman times, becoming more intensive in the Roman age. The mining activity focused on prospecting for gold and it is estimated that over 150,000 m³ of ore were extracted during this period. In the mid-nineteenth century, modern industrial exploration began, which was shut down due to the depletion of reserves in 1966. 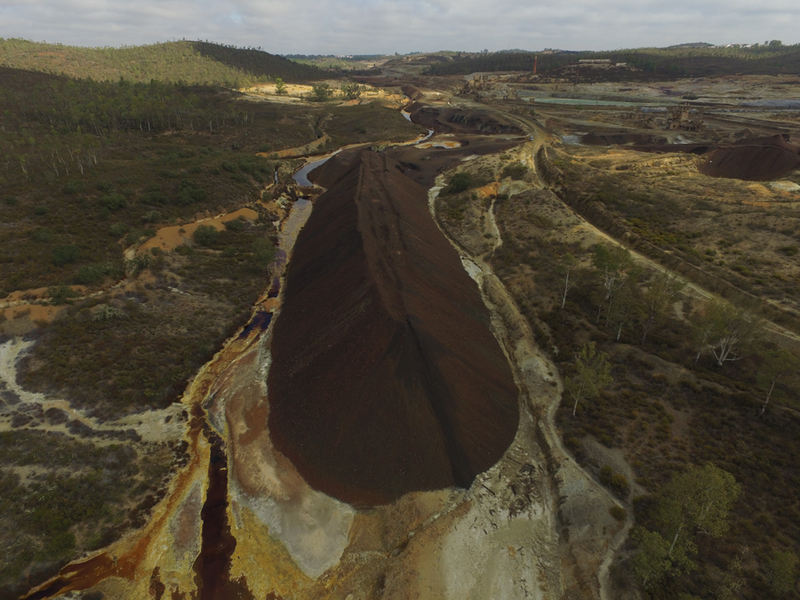 The main products mined were copper and sulphur for the production of sulphuric acid, alongside byproducts such as lead, nickel, cobalt, gold, silver, cadmium, arsenic, antimony and tin. 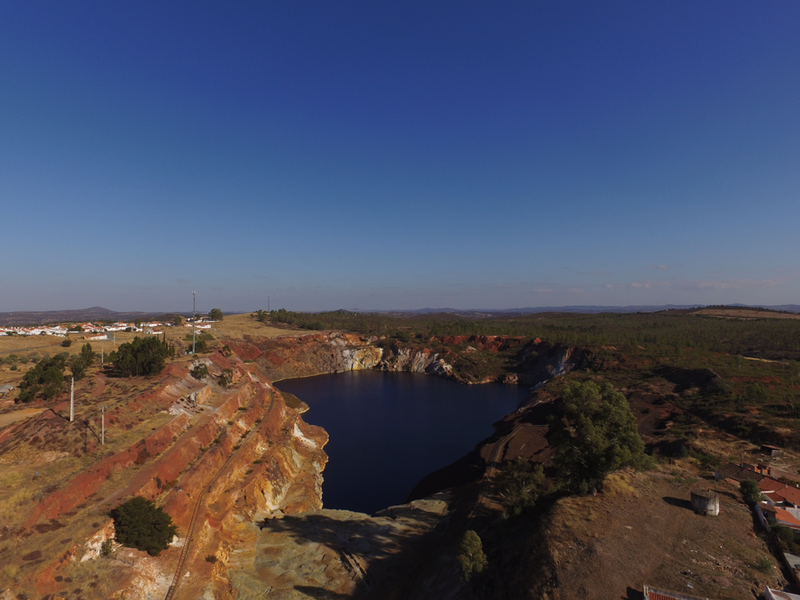 Between the years 1855 and 1966, around 25 Mt of ore were removed from the area of São Domingos, mainly pyrite, with average contents of 45-48% sulphur, 1.25% copper and 2-3% zinc. 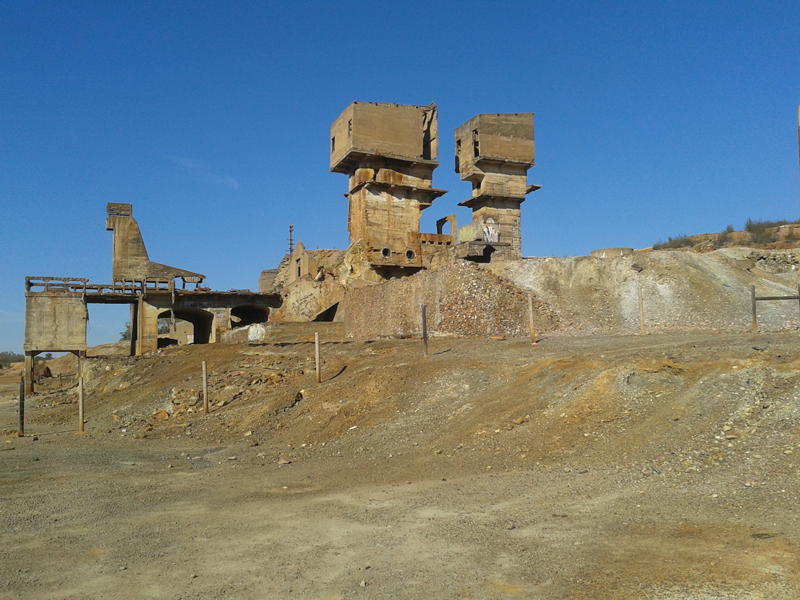 The mine, which employed thousands of workers, was considered one of the largest sources of revenue, contributing to the economic balance of the municipality. 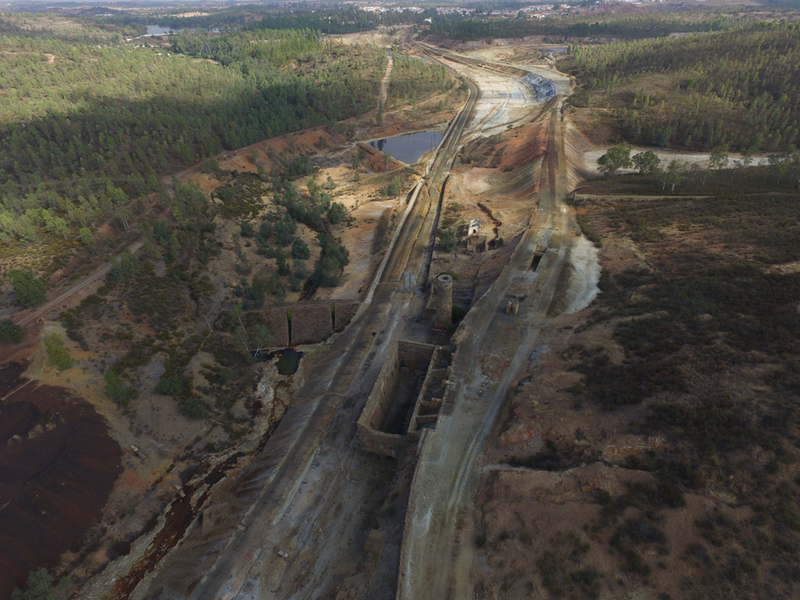 Until the 1930s, when the modern exploration of tungsten was developed in Panasqueira and coal in the Douro Basin, São Domingos was the largest Portuguese mine, directly employing over a thousand workers at all times until near the time it closed. A village designed to meet the needs of the complex was built in the surrounding area. 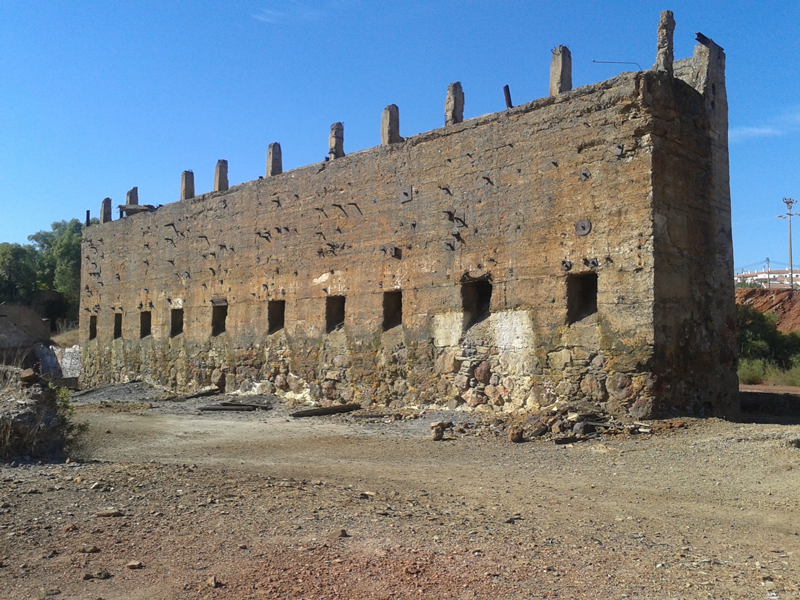 The Concession Period for São Domingos Mine lasted from 1859 to 1984 and it produced ore between 1863 and 1966. It was eventually revoked by notice published in the Diário da República (Official Gazette) no 258, 3rd series, of 07/11/1984. 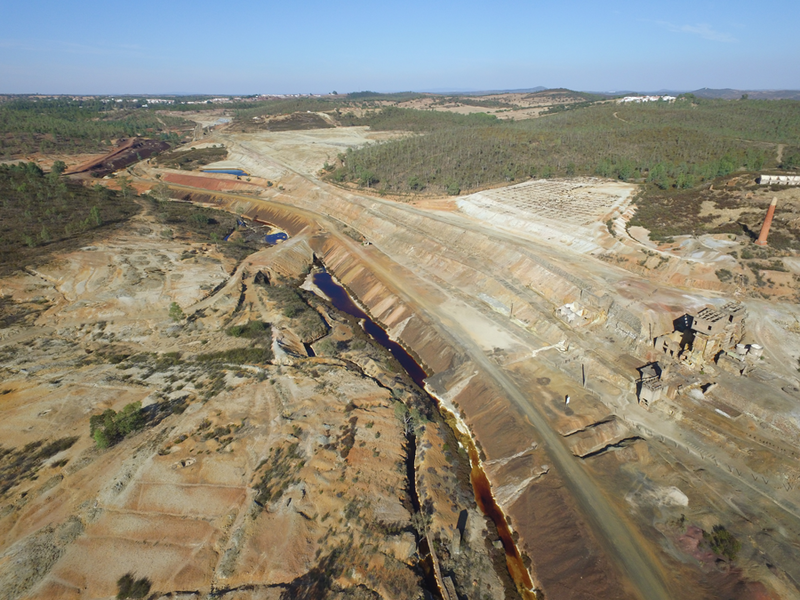 The exploration of this former mining area involved the phases of extraction, grinding, processing and transport of the ore by rail to the River Port of Pomarão, around 17 Km away. 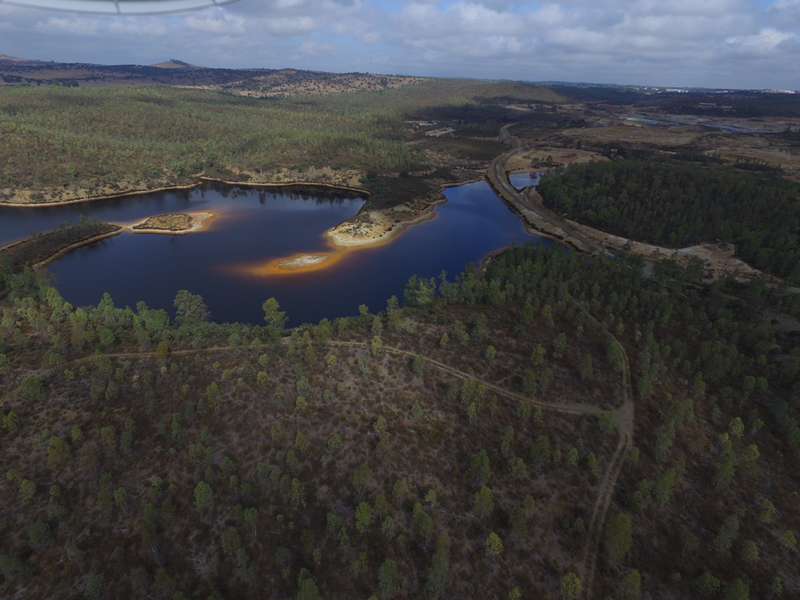 This contract forms part of the first phase of the environmental remediation works of the Former Mining Area of São Domingos, the main objective of which is the use of the existing former artificial network of canals, stormwater runoff and seepage in the areas surrounding the right bank of the mining area and the Tapada Grande Dam, aimed at the collection, channelling, interception and diversion of the contaminated bed of the São Domingos stream, ensuring its transport downstream of the Portela de São Bento Weir. 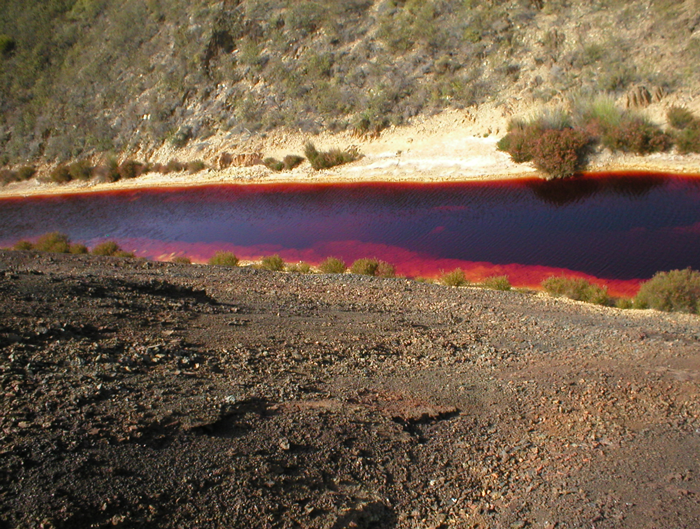 The investment is co-financed by the Cohesion Fund and will allow a potential reduction in the volume of acidic water generated of around 84%, to the extent that these channels will ensure the discharge of clean waters downstream of the mining area, thereby avoiding the seepage of mining wastes from the spoil heaps and consequent contamination.